The most disadvantages facing the solar panels it’s can’t get full solar power so that the scientists work to make solar panels more effective and give more power , scientists in Switzerland have figured out a way to utilize Graphene in solar panel design, raising its efficiency to an absolutely staggering up to 60% and the researchers at the Institute of Photonic Sciences in Spain claim graphene can produce multiple electrons for each photon of sunlight it absorbs-generating proportionally more electricity than the 1:1 ratio of photons to electrons silicon cells are limited to, Graphene Solar Panels researchers estimate that the material could yield 60 percent or more about double that of the most efficient silicon cells. In bad conditions like cloudy or rainy solar panel doesn’t work but new solar cell prototype depends on graphene able to generate electricity by raindrops! 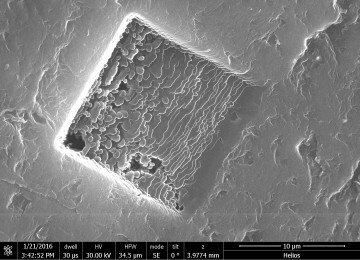 This solar cell developed by a team of scientists in Qingdao, China. 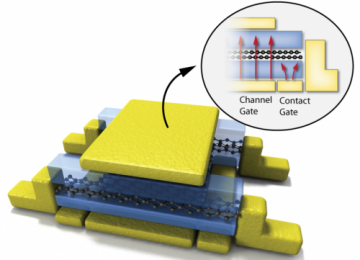 This tech needs a mere one-atom thick graphene layer for an excessive amount of electrons to move as they wish across the surface because of graphene high conductivity, among many other benefits. 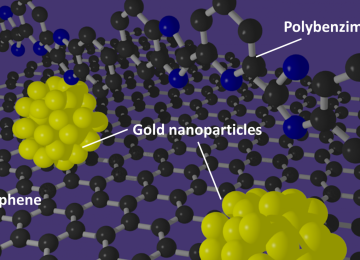 In situations where water is present, graphene binds its electrons with positively charged ions. Some of you may know this process to be called as the “Lewis” acid-base interaction. 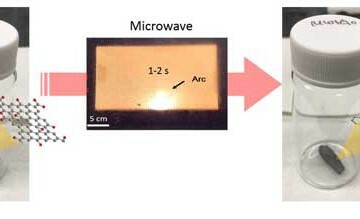 The little salt contained in rain separates into ions (ammonium, calcium and sodium), made as a catalyst, so that can lead to developing new generate of graphene solar panels work from evaporation or sea drizzle special in coasting areas or became ideal to used in ships and boats, the water actually cling to the graphene, forming a dual layer (AKA pseudocapacitor) with the graphene electrons, The energy difference between these layers is so strong that it generates electricity. 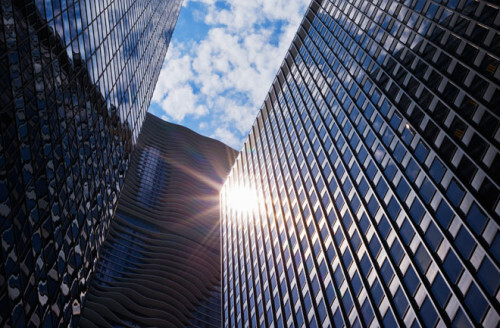 In crowded cities it’s very hard used solar panels because of narrow places that available to put solar panels but the graphene solar panel present new solution to make it easy use solar panel in every house! 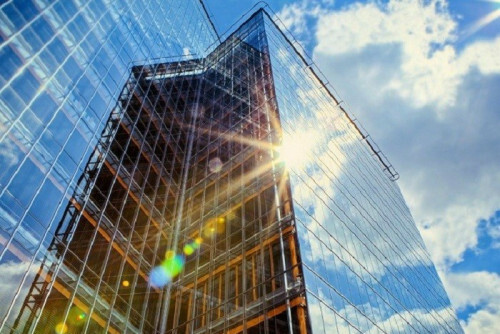 Researchers Develop transparent or semitransparent solar cells with high efficiency and low cost, so can instate of glass in windows can imagine what happen if skyscrapers use it how much produce massive power from own windows. 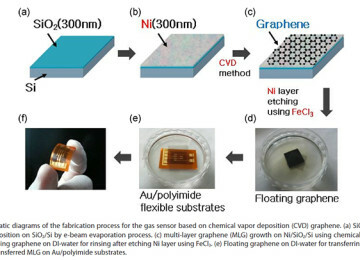 In 2008, a research team at the USC Viterbi School of Engineering reported the large-scale production of highly transparent graphene films by chemical vapor deposition technique, the researchers created ultra-thin graphene sheets by depositing carbon atoms from methane gas in the form of graphene’s Films on a nickel plate. 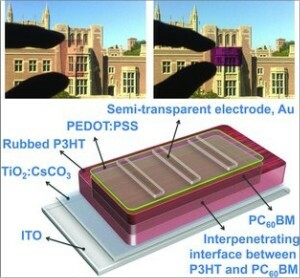 The Department of Applied Physics of the Hong Kong Polytechnic University (PolyU) has successfully developed efficient low-cost and semi-transparent perovskite solar cells with graphene electrodes ( Perovskite: is a calcium titanium oxide mineral composed of calcium titanate “CaTiO3”) Solar cell efficiencies of devices using these materials have increased from 3.8% in 2009 to 22.1% in early 2016, making this the fastest-advancing solar technology to date. Perovskite had used in solar cells instead of traditional silicon solar cells because it more simplicity and cheap, the traditional silicon cells requires expensive, multistep processes, conducted at high temperatures (Over 1000 °C) in a high vacuum in special clean room facilities. In the other side Perovskite solar cells, the organic-inorganic perovskite material can be manufactured with simpler wet chemistry techniques in a traditional lab environment and that make it inexpensive and became commercially attractive. 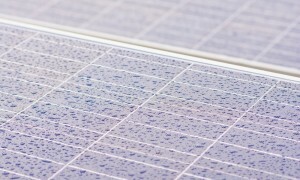 Perovskite with graphene-enhanced Power Conversion Efficiency (PCEs) up about 12 percent, the PolyU solar cells outperform standard transparent and semi-transparent versions had potential to be produced at less than (US $0.06)/Watt also means a greater than 50 percent saving on the cost of conventional silicon solar cells. Researchers presented prototypes depend on graphene to make lightweight and flexible solar panels and could be molded to suit an automobile body or wrapped around any surface or building, in addition to roofs, They have the potential to collect light and generate power when added to any surface. 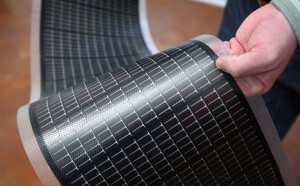 This new solar panel not flexible only but very strong also because the graphene the strongest material in the world so it will be strong and can be resisting the hard conditions, will enable it to be widely used in the future in everywhere.